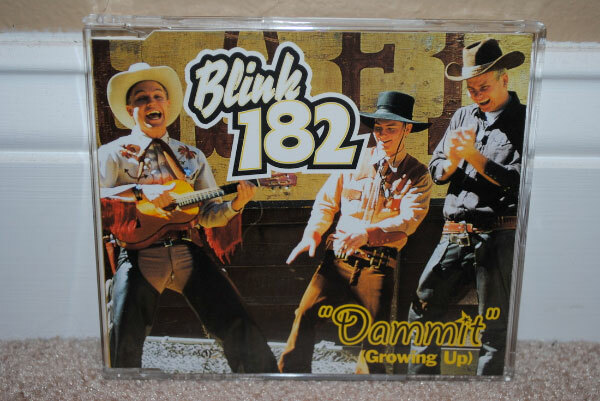 "Dammit" (sometimes subtitled "Growing Up") is a song by American punk pop act blink-182, released today 20 years ago, on September 23, 1997 as the second single from the group's second studio album, "Dude Ranch" (1997). Written by bassist Mark Hoppus, the song concerns maturity and growing older. It was written about a fictional breakup and the difficulty of seeing a former partner with another. The song became the band's first hit single, reaching number 11 on Billboard's Hot Modern Rock Tracks chart, and receiving heavy airplay on several key US stations in 1998. The song's music video was shot by directors Darren Doane and Ken Daurio, previous collaborators with the group, and depicts the trio attending a "sneak preview" at a cinema where Hoppus attempts to win his ex-girlfriend back. "Dammit" was later featured on the band's Greatest Hits (with a drumroll added), and it has been covered by a number of artists.